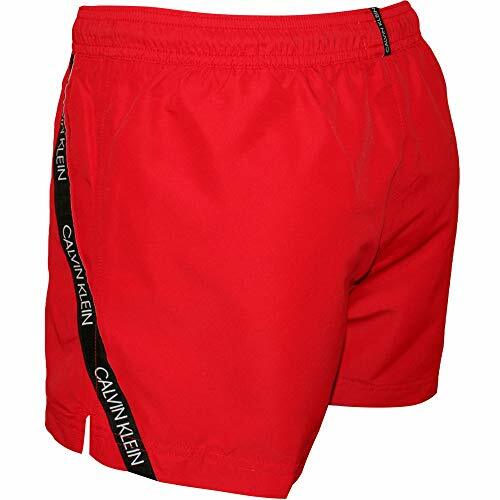 The Short Drawstring Swim Shorts from Calvin Klein comes in Lipstick Red colour, featuring a drawstring elasticated waist. 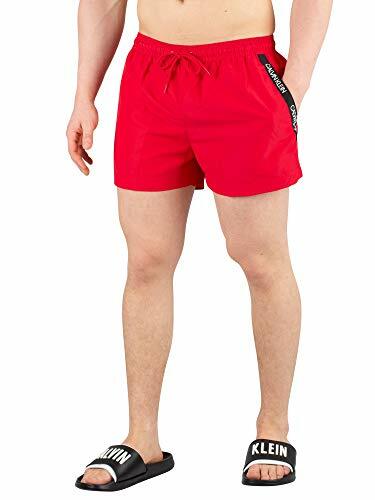 These swimshorts sport branded strip across pocket and tab on back waistband. 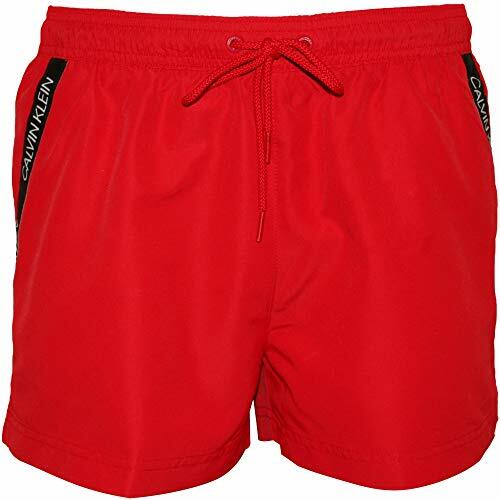 Featuring inside mesh lining including side pockets , this pair of swimshorts comes with branded eyelets and drawstrings. 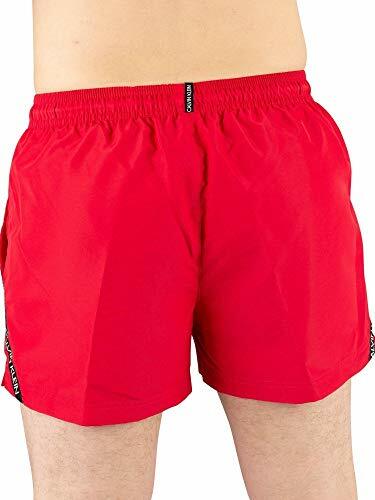 Calvin Klein Red Short Drawstring Swim Shorts. Brand New and Genuine. We are an authorised seller of Calvin Klein. See product description below for more information.